Casa Engineering - OUR PEOPLE - Casa Engineering has undertaken a diverse range of projects in the construction, civil, infrastructure and mining sectors, and this experience and expertise across the group enables the company to offer clients execution certainty. Supported by senior leadership, CASA Engineering is committed to delivering all projects safely, and promotes a culture of personal responsibility toward safety and environmental management. CASA Engineering has undertaken a diverse range of projects in the construction, civil, infrastructure and mining sectors, and this experience and expertise across the group enables the company to offer clients execution certainty. Our personnel are central to the success of the company. Our employees are empowered with the tools and training to not only succeed, but to exceed expectations. CASA Engineering’s design team can review your next project to ensure the design is the most buildable solution. Clients are our focus. CASA Engineering endeavors to meet the needs and wants of our clients, and manage the risks inherent to the work that we perform. We will become our client’s mechanism for management of risk. 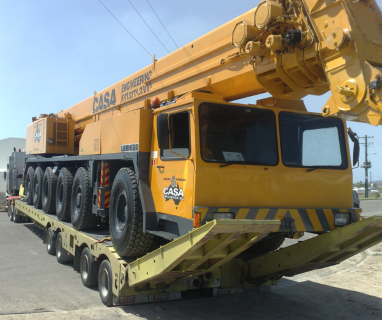 “All Hire” is part of the CASA Group of companies, and our combined fleet means many projects can be bid and executed utilising internal equipment owned and operated by CASA personal.